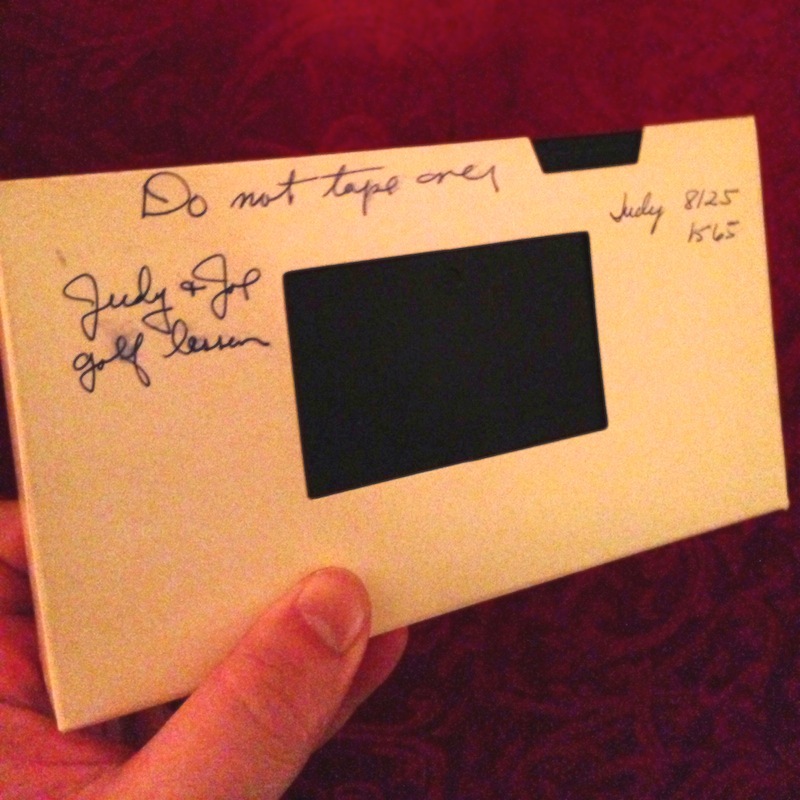 Judy and Joe seem to have been avid golf players and this is a tape of two different days’ lessons, both in 1994 (thanks to time stamps displayed in the video software used to capture their swings). Please enjoy Judy as she does a great job following direction, and Joe who… well… voices his concern and frustration about his progress. So toss that cigarette onto the green, as Joe does, then pick it back up and take a puff as we enjoy Judy and Joe.